My grandmother, Alice, moved in with my parents close to two years ago now. She had recently been diagnosed with non-Hodgkin’s lymphoma, and it just made sense for her to move in with family while she underwent chemotherapy and radiation treatments. She had been living alone in a small town nearby, in the same little house she and my grandfather lived in before he died in 2004. She liked her independence – and still does – so moving in with her daughter and son-in-law was a big adjustment for her. Over the months that passed, the move proved to be a good thing for all three of them. My dad and my grandmother seemed to bond in a way they never had before, actually learning to like – and actually love – each other. My mother adjusted to her mother’s quirks, or at least found ways to cope with them. And my grandmother got used to having her own space within theirs, relying on my parents for many things, but still asserting her independence in her trademark fashion. Since the end of January, when my father had his first of several health crises, my grandmother’s presence in my parents’ home has become increasingly important to my mother. For a long time, Mom has considered herself my grandmother’s caregiver, and she very much is. But this year, the roles reversed in an unexpected and surprising way. My grandmother has become an emotional caregiver – a steady and reliable friend, a confidant, and often a happy distraction – for my mom. This has been a very hard year for Mom – for all of us, truthfully – but knowing that Grandmother is there for her is more comforting to me than I can put into words. Over the past few months, my grandmother decided she would be a permanent resident in my mom’s home. Of course, we assumed this, but it needed to be her decision. When my mom and her two sisters and brother cleaned out Grandmother’s little house recently, I inherited a box filled with Grandmother’s old cookbooks and recipe collections. So, basically, I inherited a box full of treasure. 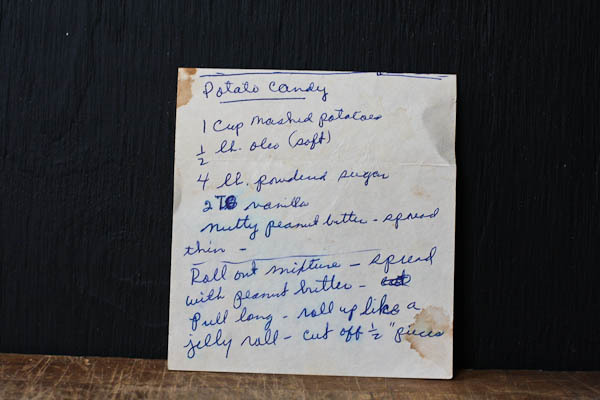 This recipe for Potato Candy was one of the yellowed scraps of paper I found shoved into a recipe binder in that cardboard box. The recipe was scrawled in blue ink in my grandmother’s slanted cursive, with brown stains at the corners – really, just how you’d want an old family recipe to appear. I altered the recipe just a tad, decreasing some of the amounts just enough to feel good about the finished product but not so much that it did not feel like the original. The mashed potato in the recipe is really just a binder for the butter and confectioners sugar, so you don’t have to worry about tasting potato in the finished product. 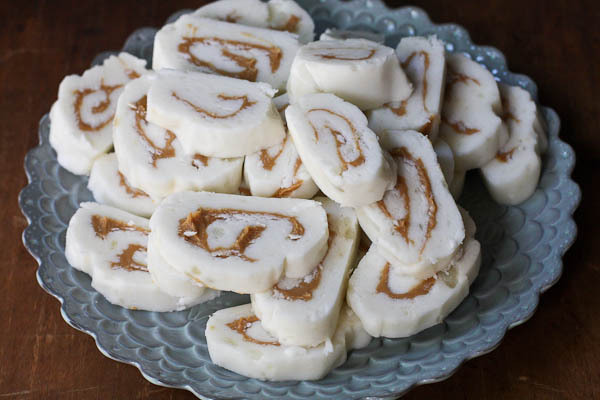 With its sweet vanilla-flavored creaminess paired with a swirl of peanut butter in the center, the recipe marries sweet and salty together in an addictive manner. I made a batch for Thanksgiving, and I have been a hero in my kids’ eyes ever since. Maybe just as much of a hero to them as my grandmother is to me, even. 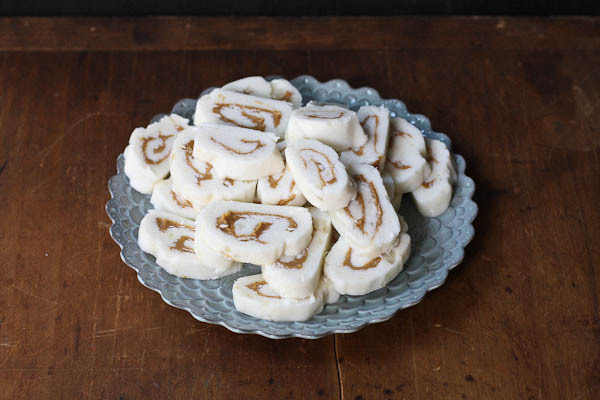 This old fashioned candy is incredibly easy to make - and quite addictive. Use leftover mashed potatoes to make your life easier. It's messy, but I recommend mixing the dough with your hands rather than a spoon. It's quicker, easier, and much more fun. In a large mixing bowl, stir together mashed potatoes, butter, and vanilla. 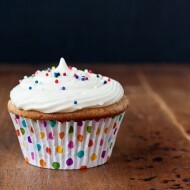 Add confectioners sugar, one pound at a time, and stir together well. The dough will be very wet, but it will come together into a more firm dough after you incorporate the last pound of confectioners sugar. Once the dough is thoroughly mixed, divide it into two halves. On a sheet of wax paper, and using your hands, flatten out one of the halves of dough into a rectangle. Cover the dough with a second sheet of wax paper and, using a rolling pin, roll the dough until it is roughly 13-14 inches long and 10 inches wide. Lift the wax paper and dough carefully, place on a baking sheet, and chill for about 5-10 minutes only. Remove from refrigerator and spread 1/4 cup peanut butter evenly onto the dough. From the long side, carefully roll into a log and wrap well in wax paper. Repeat with other half of dough. Chill the logs for at least 2 hours before slicing. 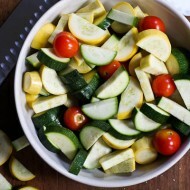 Once chilled, slice into 1/2-inch pieces and serve. Make ahead: Store prepared potato candy, layered between sheets of wax paper, in the refrigerator in a covered container for up to 2 weeks. You couldn’t be more right about videoing our parents. Happy Mothers’ Day to you, my sweet & chocolatey friend. SUCH a great idea MJ. My parents are so far away that I often think this. I need to make it happen next time I see them. Wishing you a lovely Mothers’ Day! Not only do I wish I had taken videos of my parents but I wish I had taken a lot more photographs of them as well. My mother’s sister, my Anut Mary Jo, died in 1982. My mom, Lousie, died 5 years later. They were close and naturally so were the two families. Mary Jo had two daughters and in 1980 the eldest gave birth to a son. His first birthday party was at Aunt Mary Jo’s house and her son-in-law brought a fancy new camera, a cam-corder to the little boy’s birthday party. He recorded many vignettes that day, one of which was with Grandma Mary Jo and her grandson. She never lived to see her grandson’s second birthday. I forego attending her wake so that I could babysit for that little boy on his second birthday while the family mourned the loss of his grandmother. We went to the zoo and he wanted to go to McDonald’s for lunch so we did. We all missed Mary Jo terribly. I often asked to see the video of that first birthday party but her daughters said it was too painful for them to view. To this day I have never seen it. I was so envious of that video when my Mom Louise died and so angry I did not have a video of Louise like the one that was kept hidden away of her sister Mary Jo. Surely if I had a video like that I thought it would be so wonderful but perhaps I would miss her more; perhaps I would have a bigger hole in my heart than I do if I had that video that my cousins can never bear to view. I remember my mother Louise (and my dad Lew who passed about a year later) with a fondness and love that is at times heart-breaking. But they come to me in my thoughts and my dreams as well as in the memories which family and friends share. In 1987 I would have given my eye-teeth for a video of Louise; twenty seven years later I am happy with my few pictures, my memories and the thought that I was indeed a lucky girl to have been dropped into their lives. I cherish the time I shared with them and I don’t think a video would make me feel any differently. For what it’s worth, Merry Jennifer, I know your pain. One day it will get better, even without a video. Lovely sentiment; I suppose the same can be said for photographs of our parents. 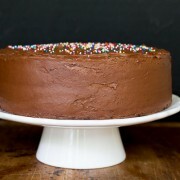 This cake looks divine, thank you for sharing the recipe. My little sister (I still say that though she’s now married) is celebrating her 24th birthday this weekend. I am definitely digging out the video camera now. I want to remember these days when the memories have faded from my mind. Thank you. I just had to leave a comment on this cake to let you know – I love it. I wanna marry it. I would make beautiful music with it. It’s gorgeous.